"The test is the State Department’s sole criterion for choosing diplomats. In theory, it’s a truly merit-based system. It doesn’t matter if you are a 21-year-old two months shy of college graduation or a 51-year-old law firm partner in the middle of a midlife crisis. Everyone has an equal shot. "Candidates who score above a certain threshold get put on a list of potential hires, ranked according to their results; bonuses are given for military service and proficiency in strategic languages. 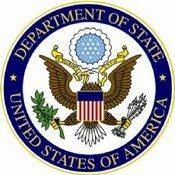 The test is used to select all of America’s career diplomats, from the managers responsible for keeping the embassies running, to the consular officers who decide who gets to visit the United States and who doesn’t, to the public relations experts who are the country’s public face abroad, to the political officers negotiating with foreign governments. (The bar is just lower for managers and consular officers.)" "In 2006, more than 17,000 people took the FSOT. Just 10 percent passed the written exam, and a fifth of those made it through the daylong oral assessment that follows. In the end, less than 3 percent of all applicants were offered a job in 2006. That’s an acceptance rate significantly lower than that of Harvard Business School." Curry goes on to take the exam, and gives much detail in his article of the kind of questions asked and abilities tested, and proffers his opinion of its likely effectiveness. The Republican Party has released its 2008 Platform, setting out in detail its approach to domestic and foreign policy issues alike. A document expressing the position of the overall party rather than its presidential nominee, its first chapter outlines some specifics and generalities that will guide the Republican Party in the foreign policy it will advocate and seek to implement. "The gravest threat we face — nuclear terrorism — demands a comprehensive strategy for reducing the world’s nuclear stockpiles and preventing proliferation. The U.S. should lead that effort by reducing the size of our nuclear arsenal to the lowest number consistent with our security requirements and working with other nuclear powers to do the same. In cooperation with other nations, we should end the production of weapons-grade fissile material, improve our collective ability to interdict the spread of weapons of mass destruction and related materials, and ensure the highest possible security standards for existing nuclear materials wherever they may be located. "But that is not enough. We must develop and deploy both national and theater missile defenses to protect the American homeland, our people, our Armed Forces abroad, and our allies. Effective, layered missile defenses are critical to guard against the unpredictable actions of rogue regimes and outlaw states, reduce the possibility of strategic blackmail, and avoid the disastrous consequences of an accidental or unauthorized launch by a foreign power." 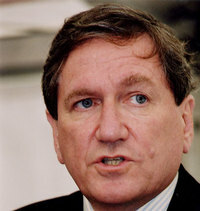 "The international promotion of human rights reflects our heritage, our values, and our national interest. Societies that enjoy political and economic freedom and the rule of law are not given to aggression or fanaticism. They become our natural allies. Republican leadership has made religious liberty a central element of U.S. foreign policy. Asserting religious freedom should be a priority in all America’s international dealings." "We propose a thorough reform of its structure to ensure that promotions and appointments are based on performance in supporting the nation’s agenda." "Getting America’s message out to the world is a critical element in the struggle against extremism, and our government must wage a much more effective battle in the war of ideas." In what direction should the next President take American foreign policy? In The National Interest, two of America's top scholars - Joshua Muravchik and Stephen M. Walt - debate the merits of neoconservatism and realism. "The most important points of comparison are the respective aftermaths of the two world wars. Following the first, the United States spurned Wilson’s architecture of peace and turned instead to realism. Realists may claim that the ensuing twenty years, the most catastrophic era of American foreign policy, ought to be charged up to “isolationism” rather than laid at their doorstep. But this would be a semantic dodge. Isolationism is nothing more than realism in an extreme variant... And it led directly to the most disastrous event in human history, a war that snuffed out some 60 million lives, including more Americans than have died in all of our other foreign wars combined.